Pricing Details: $55 per person added to any guestroom. Admission price subject to 2019 rate changes. Time to enjoy a unique adventure park experience. 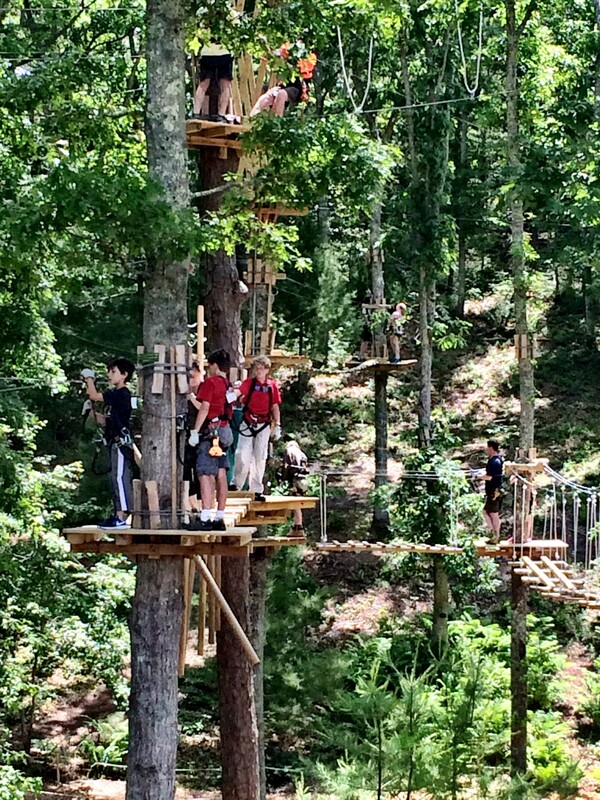 The first time I ever experienced zip lining I went with my then college age daughter. As someone who has always been afraid of heights this was a challenge and it turned out to be fabulous. The highlight was the side by side zip line race Laura and I enjoyed. News that Heritage Museums and Gardens was adding the Heritage Adventure Park to their offerings back in 2015 was very exciting. 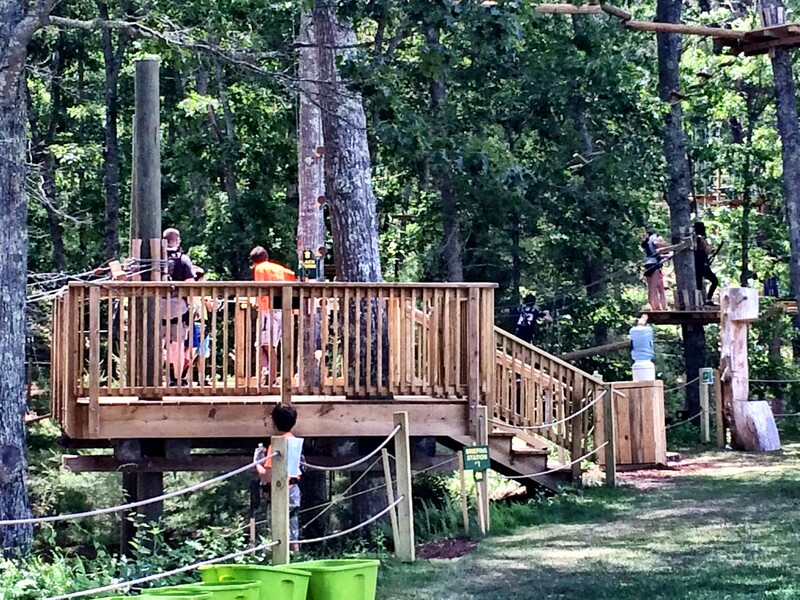 The Heritage Adventure Park Package includes your 2 tickets for 2 hours of climbing time. You also have about 1/2 hour of initial harnessing/orientation/practice time prior to your climbing time. 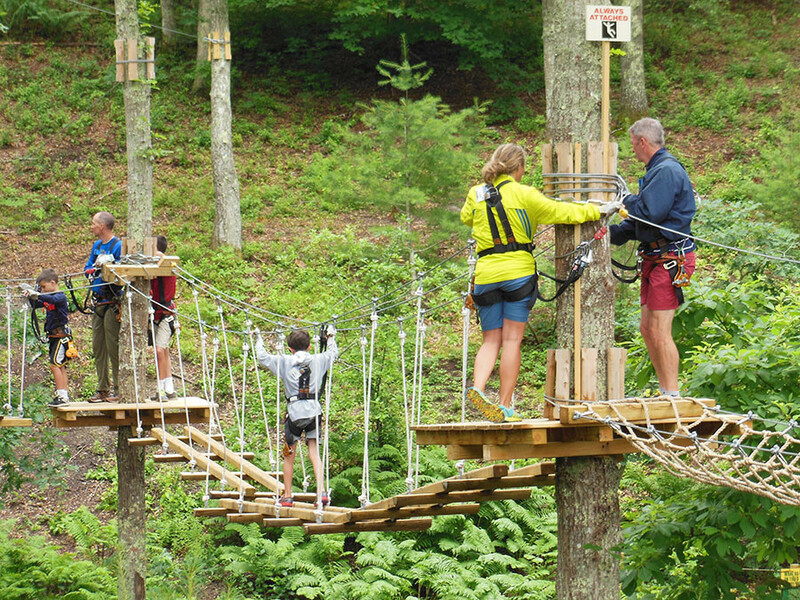 The beauty of this adventure is that you can enjoy five different aerial trails winding through the treetops. 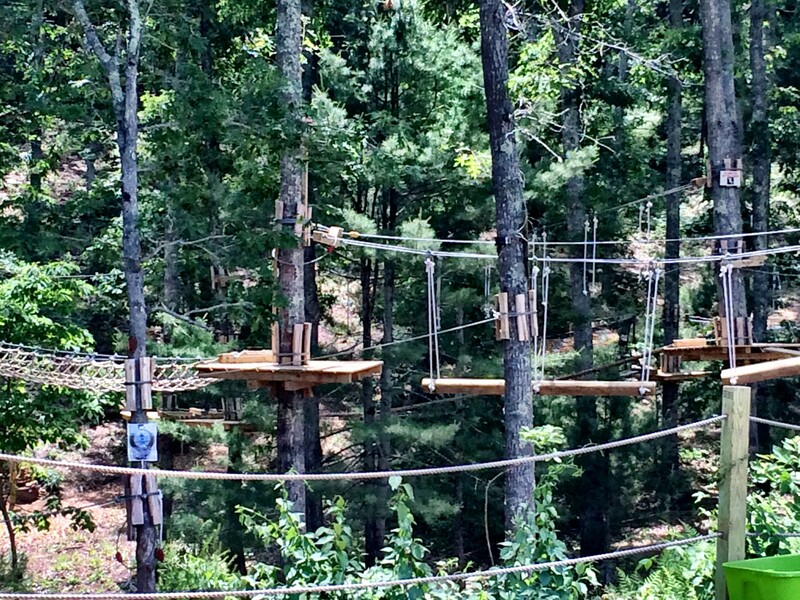 They have in excess of 60 tree to tree bridges and 7 zip lines. Just like a ski mountain each trail is color coded for difficulty. This allows you to select your level of challenge from beginner to expert. In addition to the high flying adventure your package includes admission to Heritage Museums and Gardens. You can explore acres of beautiful gardens as well as their acclaimed antique car collection in the indoor round barn.